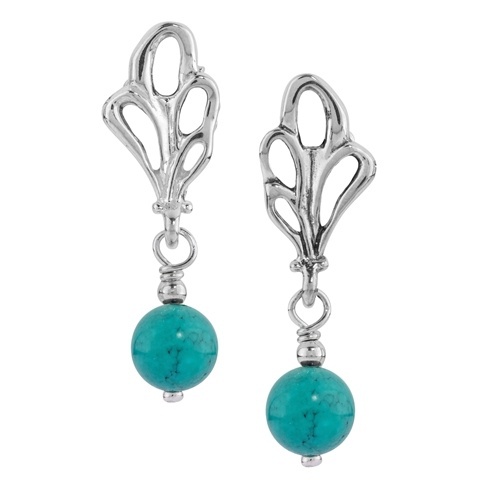 Turquoise gemstones made from the mineral of the same name. 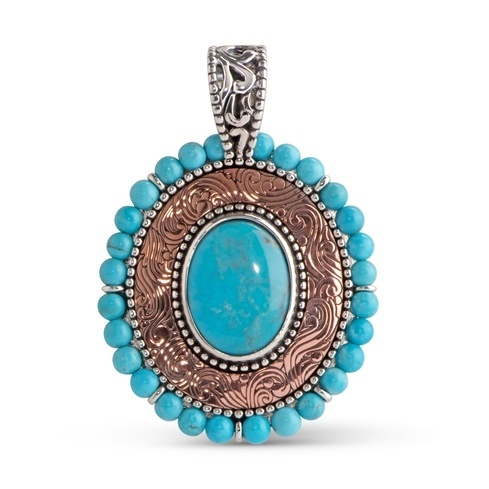 Turquoise is only found in a few places on Earth due to its rather rare element makeup. 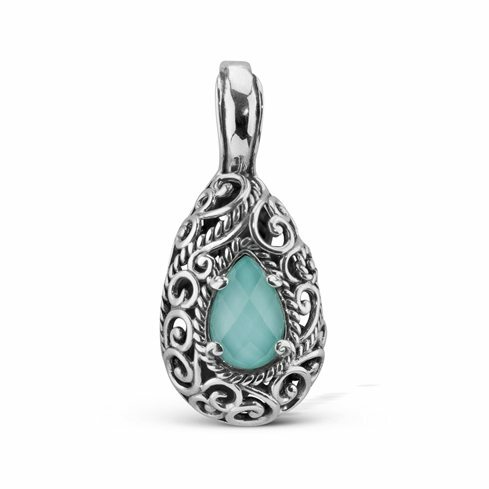 Sleeping Beauty turquoise cabochons in squash blossom patterns are the stars of this sterling silver chain, though the removable pendant’s eye-catching cross design threatens to steal the show. 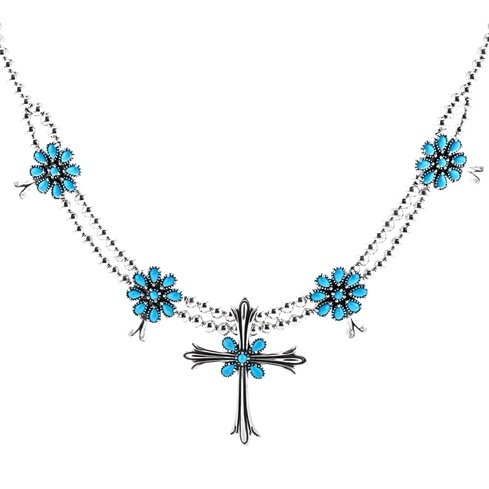 From American West Jewelry. 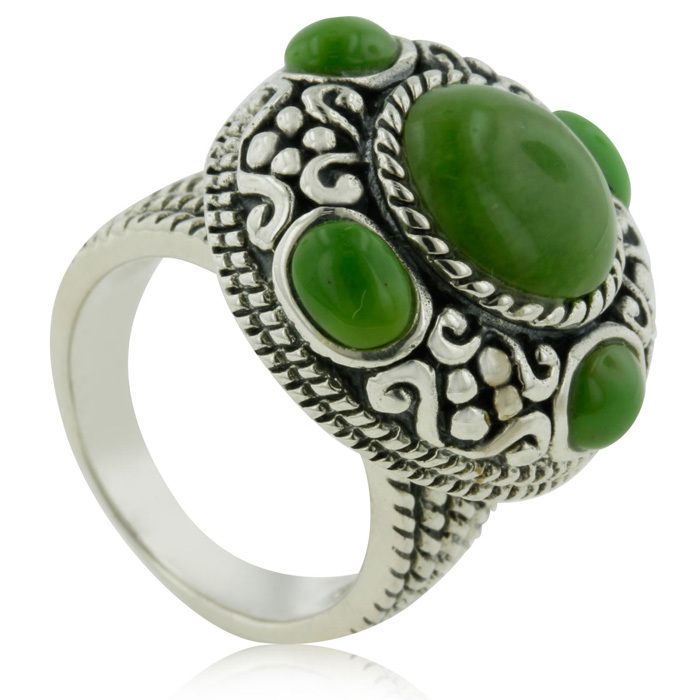 Treat yourself to this stunning sterling silver ring featuring five green turquoise stones. The center stone measures 10mm with the four surrounding green turquoise measuring 5x4mm. The ring face measures 3/4 inch. 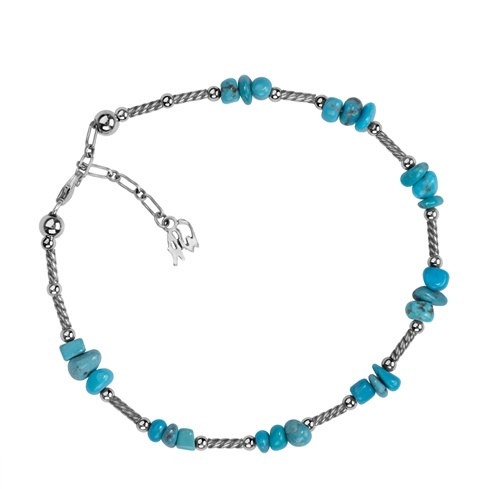 This gorgeous necklace features one 1/2 inch turquoise gemstone and tiny accent turquoise stones all along the chain. The entire chain is in 14 karat yellow gold over sterling silver and has a secure, lobster-claw clasp. The entire necklace is 36 inches long. 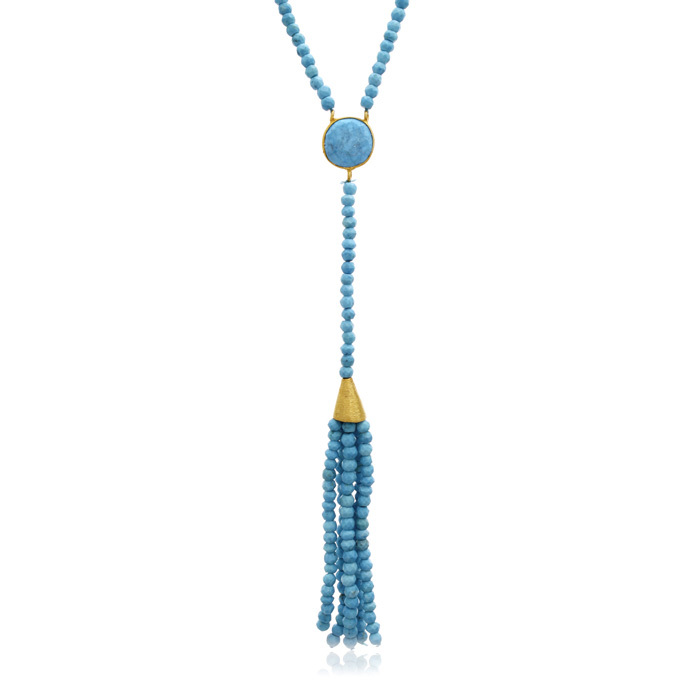 The tassel part of the necklace is 2 1/2 inches long, and from the center stone to the end of the tassel is 5 1/2 inches long.